The New Owlet app allows you to connect to and stream any Owlet product from anywhere. 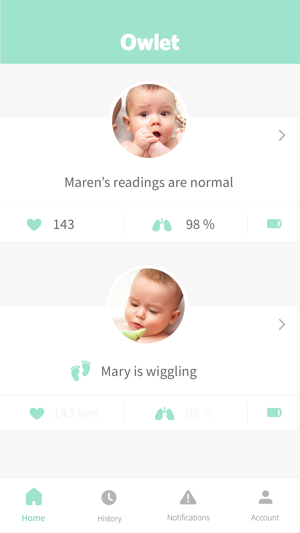 See live heart rate and oxygen levels while steaming HD video of your baby. 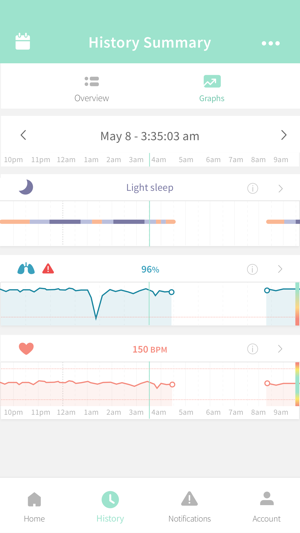 Smart Sock - Track your infant's heart rate and oxygen levels and be notified if they fall out of preset ranges. Owlet Cam - Hear, see and talk to your child from anywhere. The Owlet Cam streams HD 1080p video with night vision and two-way audio. Are you a fan of Owlet? Please leave a review for each app update in the AppStore! We are always looking for, and working on ways to improve. If you notice an issue that is not listed above, please let us know. 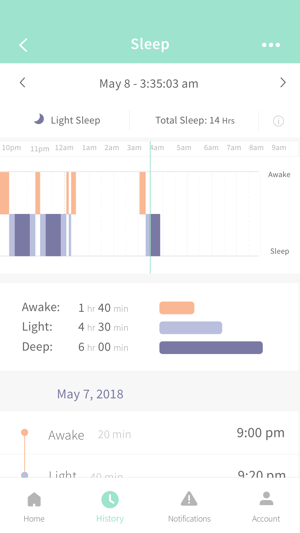 As a paranoid first time mom I had really enjoyed our experience with owlet for the smart sock 1 and smart sock 2 (which we purchased once we could afford to upgrade). Our sons readings were always consistent to his vitals when at the doctor and even the one visit we had early in infancy to the ER. Much so that we had been acknowledged by those medical professionals to use our owlet as another great “safe-guard” in place. It was a no brainer to purchase the owlet cam when it came to market. Like all new products there will be road bumps. I have no doubt, especially with how quick responding the owlet care team is- that they will work out the kinks. They are entirely invested in their products and you can tell by the quality and experiences of those who have used the socks. It may take time, and therefore they have a 45 day guarantee if you are still not satisfied. Personally, I would graciously accept more than a weeks time for bug fixes considering the haul of interest people had in this product and how quickly they were made available to purchase. Yes, much like many, I will look forward to my camera not lagging, among with the other minor errors, but I’ll continue to be realistic and give it time. Therefore I will continue to recommend the camera to others but remind them to be realistic too. I had the smart sock before the camera. Other than the occasional needing to unplug to reset, it worked perfect and gave me the piece of mind I needed. Have no issues with the sock and love it. When the camera came out I wanted it, but already had a monitor and figured I didn’t need it. 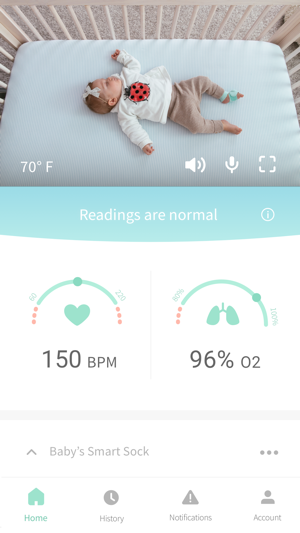 I finally convinced my husband we needed the owlet cam because it all tied in together to one app and we could see our daughter wherever we are from our phone. I also liked the idea of. Or having to keep track of a separate monitor screen. While this is true, the app is super glitchy and can not be counted on to work. I have been unable to move away from my traditional monitor due to the fact that the app sound in background mode will cut out in the middle of the night and needs to be reset. And now, last night getting the app to actually even connect to the camera was intermittent. 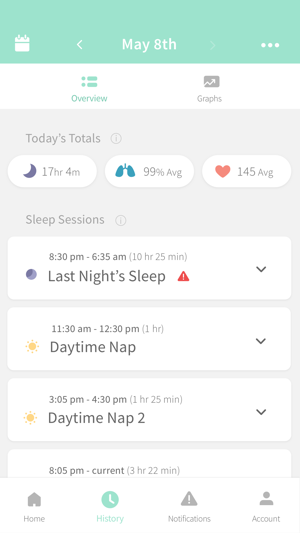 Really hoping Owlet solves these issues soon so that we can feel the full benefits of these devices. I want to love it, but it cannot be trusted. I gave it 3 stars because I reviewed the sock as well and can’t ding it for issues the camera has. You buy an owlet for the added reassurance obviously. 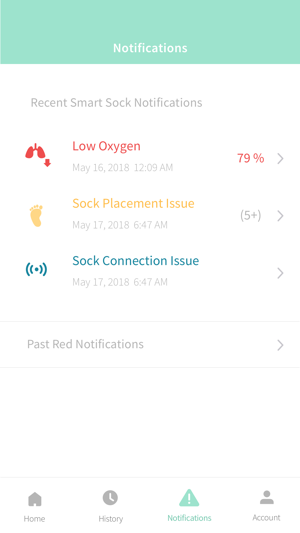 We had the sock for 3 weeks and it was mostly great with rare and solvable instances where it disconnected from the base or from our home Wi-Fi briefly. But then we bought the owlet cam and downloaded the “new” owlet app that combines both into one app. That was a huge mistake! This new app is terrible solely because it is insanely inconsistent. 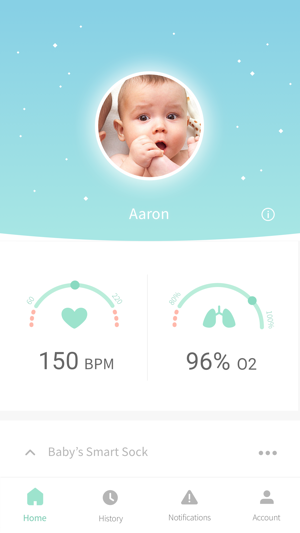 After day two of use, we have not had a single day where either the sock portion or the cam portion has been unable to connect, therefore making us unable to check our babies status and vital signs. For the price of this product, it is inexcusable for that to happen really ever, but daily?!?! With just the sock and the old app I would have recommended this product to anyone, but now that we bought the cam and merged the devices on this new app, I wouldn’t recommend this to anyone. Don’t get me wrong, when working properly we love this product but given that it so often isn’t working working properly, I consider it a breach of my trust and cannot warn people enough to ask around and make sure enough people have a different experience than us before buying. Way too pricey for not working so often. © Owlet Baby Care, Inc.